Intuit announced the release of QuickBooks 2011 for the Mac Tuesday, targeting small businesses that want to spend less time on bookkeeping and more time on making money. New features in the latest version of the software include multi-user support, the ability to set user permissions, improved handling of everyday tasks like tracking vehicle mileage and better integration with Apple's spreadsheet program, Numbers. "Many of our small business customers - from the graphic designer to the restaurant owner -run busy, fast-growing operations," Dan Wernikoff, vice president and general manager of Intuit's Financial Management Solutions division, said in a statement. "The features in QuickBooks 2011 for Mac help them save time in the back office, so they can grow their business without feeling growing pains." Multi-user support will be a welcome addition to the program for small business users who, in the past, had to play musical chairs when they needed to make accounting entries. That resulted in hours of lost productivity for employees over a year. Up to five users can simultaneously view and edit QuickBooks files on a network with the new multi-user feature. Moreover, what accounting activities a user is allowed to work on can be defined with the software's new permissions feature. In addition, new iChat support allows users to instant message one another while working within the program. "Multi-user functionality is time-saving and priceless to my business," Gary Gray, of October Media Group in Los Angeles, said in a statement. "Other users in my office can access the financials without me having to give up my laptop, which allows me to focus on my projects." 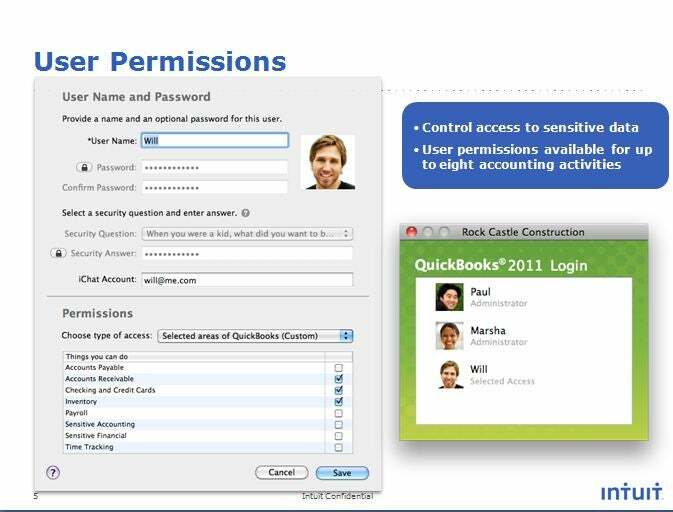 QuickBooks 2011 also aims to make common tasks easier for small business users. Mileage tracking, for example, can be logged directly onto customer invoices. Registry transactions can be sorted by date, type, number, amount and other fields. Reports can be exported into Microsoft Excel or Apple's Numbers. 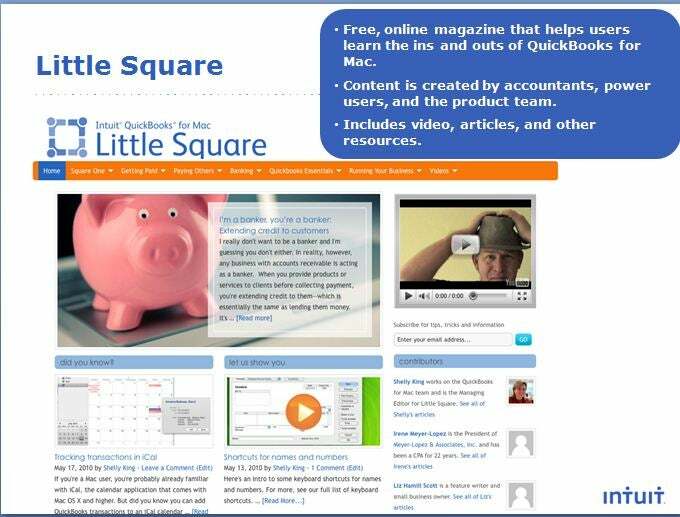 What's more, a free online magazine, Little Square, has been launched by Intuit to provide QuickBooks users with tips and tricks for using the software. 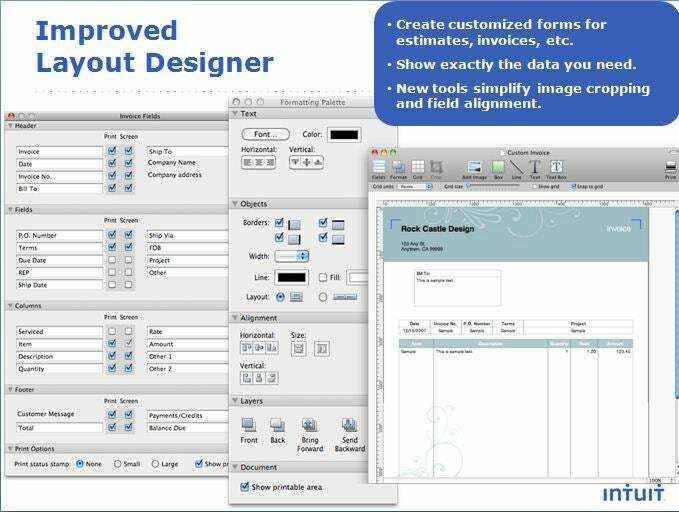 Small business users who want to give QuickBooks output - invoices and such - a personal touch will also appreciate improvements in the program's form layout functions. QuickBooks 2011 for the Mac can be purchased from the product's website starting Sept. 27. It will be available at retail outlets on Oct. 10. A single-user version of the program has a suggested retail price of $229.95; a two-user version, $439.95; the three-user version, $599.95; and $209.95 each for every additional user above three.